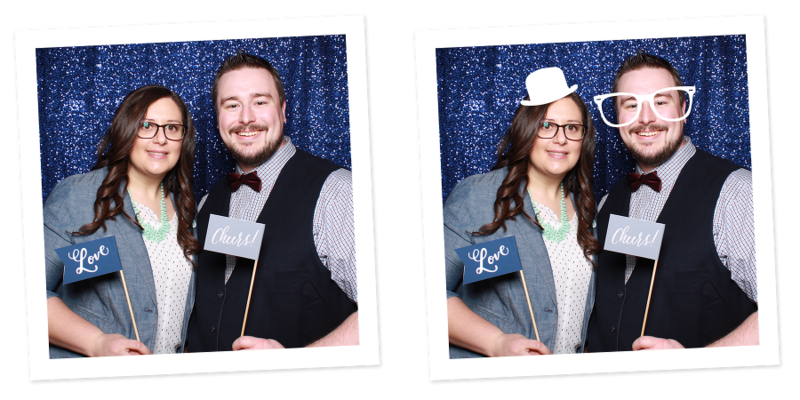 two Penn State alums living in State College, PA.
With a love of vintage photo booths we wanted to expand the local wedding industry and created Central PA’s first photo booth rental company. 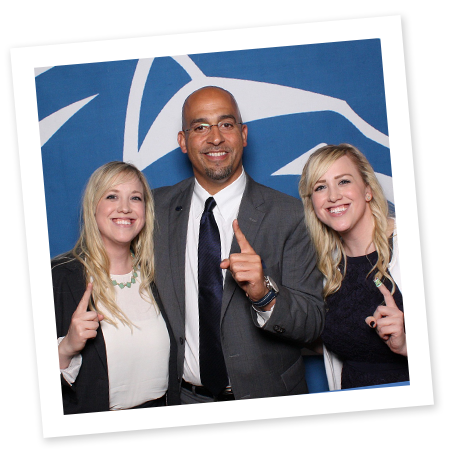 We design and rent photo booths for events like weddings, birthday parties, fundraisers, tailgates, graduation parties, proms, Penn State club events, corporate events, bat/bar mitzvahs, and more. the latest digital technologies to create stunning photos. We believe it’s ok to have fun and do things differently. We think a photo booth can cure any bad mood. We have a passion for customer service and will always give-‘em-the-pickle! If you have some extra time, we’ll be happy to explain what that means. 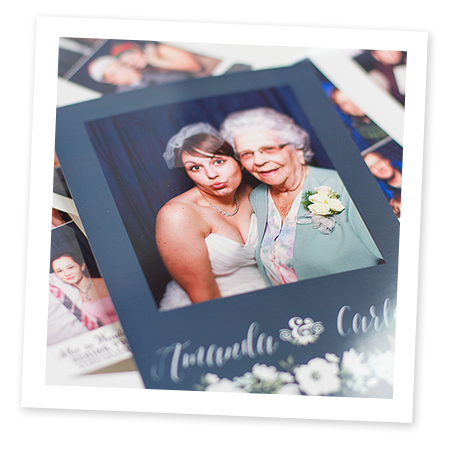 Years of experience perfecting even the tiniest details, unrivaled image quality, solid and sleek photo booth design, stellar reviews, custom props and accessories, personalized logos. Our booths produce awesome photos with gorgeous lighting and are the perfect fit for small and large groups. While our booths are fully equipped to function on their own, we’re there to answer questions and assist guests at all events. With hundreds of events under our belts we know how important your event is to you. From DIY to black tie, we’re there to make the process seamless and fun. Brand the images for a tangible connection between the user and your company. Your photos will serve as promotion on fridges long after your event is over. Customize your event to include social media integration and take your brand impact one step further. 60. Pearl S. Buck Int. © 2019 Wink! Photo Booths. Branding + Web Design by With Grace and Gold.